What makes training valuable to both the individual learner and the organization in which the learner performs? Consider the boy who brings his first yo-yo home from school. You show him a few tricks that you learned as a child. With no priming on your part, no post training activities planned to insure learning, and no change in the environment from the training setting, the boy steadily increases his proficiency, builds on his training and continues to show improvement. Now suppose the boy forgets about the yo-yo in the next year or two. Could he pick it up again after decades of inattention and resume yo-yoing with no loss of skill? Most likely, or at least he would likely regain lost skill quickly since he developed it as a boy. In fact, he may even be able to show a leap in proficiency due to physical, mental, and emotional development that is unrelated to training directly to the task. I know at least two reasons a person of any age can learn a new skill quickly and retain that skill even through years of non-use. First, the skill is learned quickly due to desire. 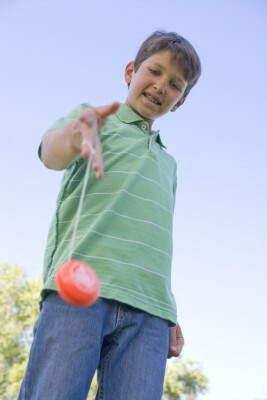 The boy wants to yo-yo so he practices, over and over again. This leads to the second reason – repetition. You don’t pick up a yo-yo one time and become a master. A breakthrough to mastery requires desire, repetitive use and application. 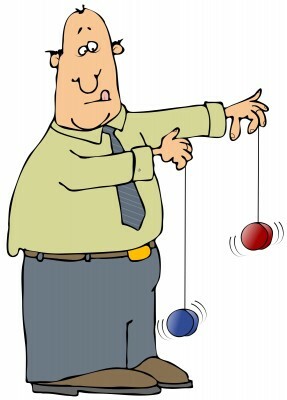 If only developing the habits of effective leadership were as simple as learning to yo-yo! The same rules still apply. DESIRE to learn or change or “become a more effective leader” is the necessary precursor to doing so. Desire is always self-motivated but can be stimulated by an external requirement or need, such as belonging, survival, recognition or fulfillment. Unfortunately, leadership classes are often full of “prisoners”, people “sent” to training by a higher authority, or “sophisticates”, people who believe they already know more than anyone could teach them. Unless the participant is on his or her own quest for meaning, little will change. REPETITION is necessary with leadership, too. One cannot learn about active listening skills one day and demonstrate mastery of the skill the next. A person has to want to (desire) improve active listening skills to master listening. Mastery, even simple proficiency takes practice, over and over, situation to situation, context to context. You must experience being the kind of leader you want to be over and over until you are that leader and others say so. So much training is focused mainly on skills and knowledge, with little sophisticated attention to attitudes, habits and goals. Most trainers consider the WIIFM factor (What’s in it for me?) of learners, but few really incorporate it into learning design. Attitudes, habits and goals put the hands and feet on desire and repetition, and therefore mastery. Skills and knowledge create potential for improvement, but attitudes, habits and goals will make or break successful transition, transformation and mastery. These are the things that shape desire. Attitudes are habits of thinking. We develop them over a lifetime, and they can be extremely difficult to change, even when we have the desire. We have to want to change an attitude to make the change – we have to have the right attitude about our attitudes. And we have to practice new attitudes repeatedly for them to supersede bad habits and ones that have outlived their utility. Attitudes either take us closer to our goals or further away – there are no neutral attitudes. So my attitude about learning to yo-yo may be pretty black-and-white: I do or I don’t practice and repeat, which determines whether I will or I won’t learn to yo-yo (and to what level of proficiency). But with a habit that affects how I lead in my organization or family – that is so much more personal, complicated, sensitive, and requires a great deal more courage, among other things. One of those other things is the depth of my desire for change. Another is repetition of the new habit over time. This entry was posted in attitude, breakthrough, desire, development, habits, leadership, learning. Bookmark the permalink.